For years those filing Chapter 7 bankruptcy could not have a second mortgage stripped away. Like their secured first mortgage, that loan had to be paid and kept current. However, a ruling by the 11th Circuit Federal Appeals Court in May, 2012 concerning the case In re: McNeal changed the landscape. In McNeal, the Court ruled that an unsecured second mortgage under a Chapter 7 bankruptcy could be stripped, which means the homeowner would no longer be responsible, the debt will be discharged and the lien will be satisfied. Since this decision is an 11th Circuit Federal Appeals case, this ruling only pertains to and affects Debtors filing within the 11th Circuit. In other jurisdictions, the rule against stripping liens in Chapter 7 remains unchanged. Having your second mortgage stripped under Chapter 7 offers numerous advantages over Chapter 13. The process of stripping the mortgage is much more immediate and Chapter 7 bankruptcy is far less complicated that Chapter 13. This ruling gives those filing for Chapter 7 a major advantage. Having a second mortgage stripped in a Chapter 7 does not in any manner put the homeowner’s interest in the home in danger. Under a Chapter 7, that debt has been eliminated. However, as it has been before, in order to stay in the home, the homeowner must remain current on the payments of the first mortgage. Thus, it is important to pay your first mortgage in a timely fashion. 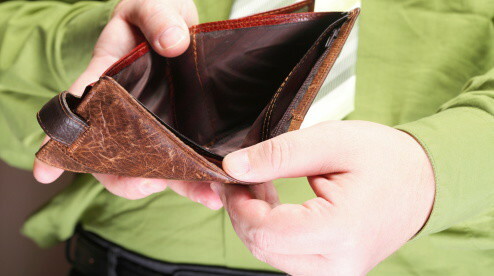 Filing for bankruptcy should never be taken lightly. However, there are times when bankruptcy is the best option, as it allows those who are deep in debt to regain their fiscal footing and take advantage of being given a new start. If you have questions about Chapter 7 or Chapter 13 bankruptcy, including how the decision on unsecured second mortgages by the 11th Circuit Federal Appeals Court might affect you, contact The Law Office of Kelley & Fulton today at (561) 491-1200. We will be glad to discuss your situation with you.